Time zones, these things are magical. Yes they can be quite confusing, and even stealing a day from your calendar or adding one to it without you knowing. But occasionally the difference in time could result in something sweet. 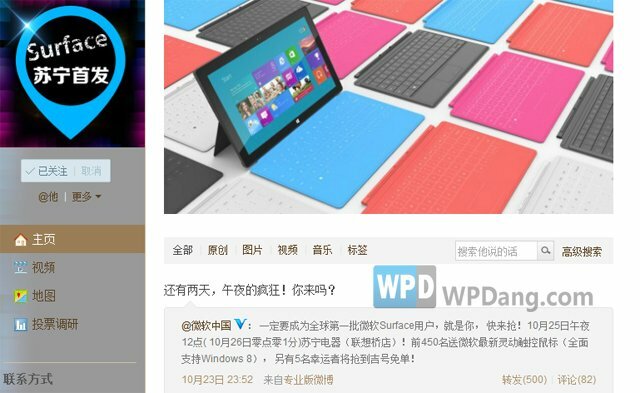 In this case today, Suning, Microsoft's official sales partner for Surface RT in China, will commence the retail ahead of everyone else. 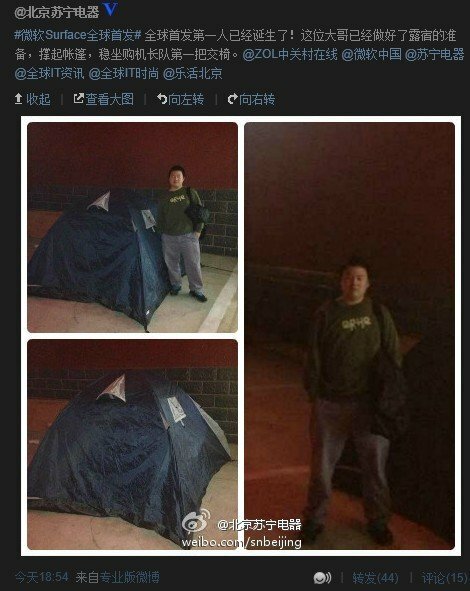 Suning changed the avatar of its official Sina weibo account to Surface advert. I will be there for the event, and try to bring back pictures, hands-on video, or whatever I can get hold of on the site. Hoping to present you folks with something interesting. As a Chinese I'm feeling this early launch pretty special. Usually we are on the "oh for a second thought let's add these guys into our map" list of gadget makers. This is about the first time ever, an internationally anticipated product gets to Chinese consumers through legal channels before anyone else. Thank you Microsoft.